Always a best seller! 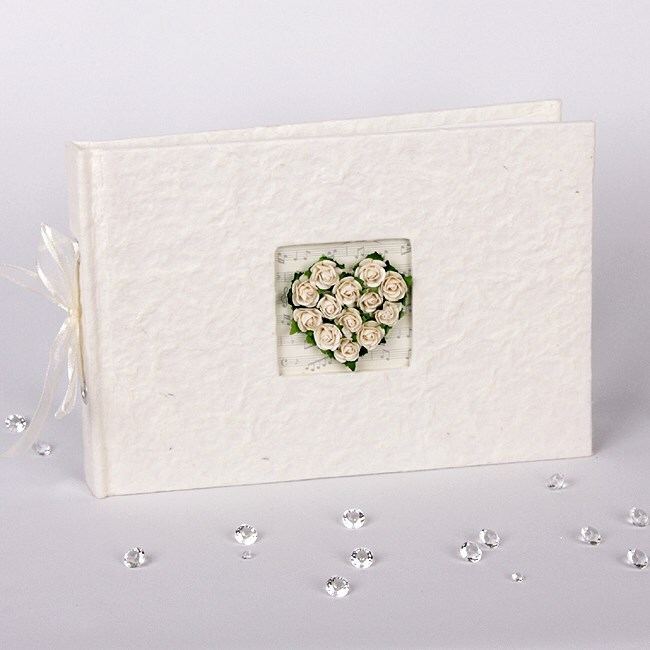 This classic handmade photo album has a textured ivory mulberry paper cover and is decorated on the front with 13 matching handmade paper roses cleverly made into the shape of a heart. Inside are 50 coordinated printed pages each side holding two 6x4” photos in plastic pockets with lined spaces alongside where you can make notes. In total this substantial album will hold 200 photos and is ideal for weddings, engagements and anniversaries. Each album is 23 x 22cm in size, acid free, cello wrapped and comes in its own presentation box with a clear perspex lid.